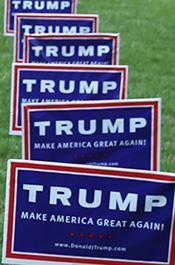 NOVEMBER 4--A Michigan man who suspected neighborhood children of destroying his Donald Trump lawn signs was arrested Saturday night after he held the youths at gunpoint until police responded to a 911 call. 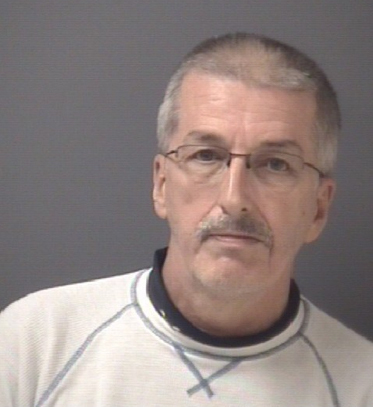 According to cops, Michael Kubek, 56, alleged that “a group of kids had destroyed his political yard signs and were currently running” away from his residence in Allen Park, a Detroit suburb. 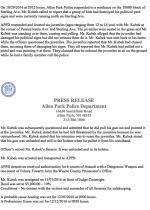 Confronted with these accounts, Kubek copped to pointing a 9mm pistol at the children, claiming that he “had felt threatened by the juveniles because he was outnumbered.” Kubek added that he sought to “scare” the children by brandishing the weapon, which he said was unloaded at the time. 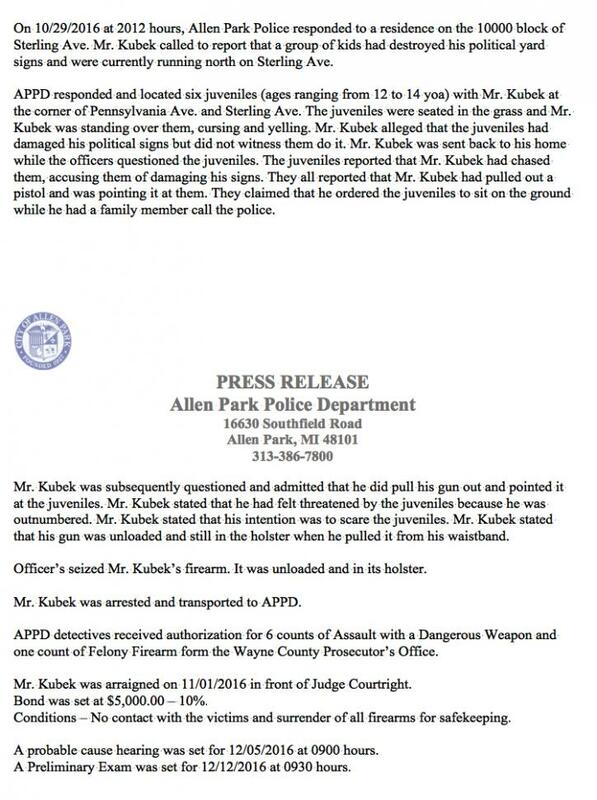 Kubek was subsequently arrested on seven felony weapons counts. Cops seized his handgun, which they found unloaded and in a holster.